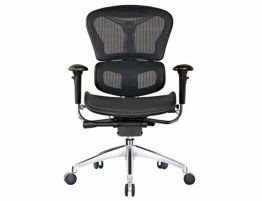 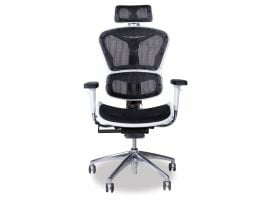 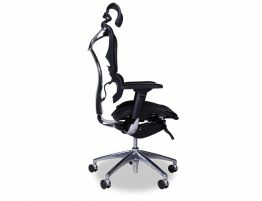 Vytas ErgoMesh Mesh and chrome desk chairs offer cool, breathable and supportive mesh design, a headrest, lumbar support, arm rests, 5-caster base for comfort and safety and multiple positions for your individual comfort. 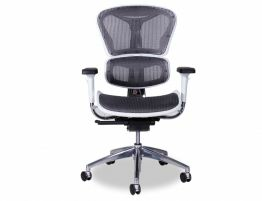 Your office chair is where you spend a great deal of your time. 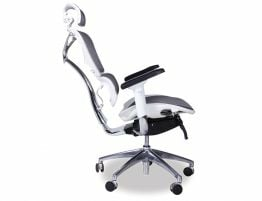 Your desk chair is tasked with supporting your back, cradling your backside and keeping you aligned in such a way as to minimise sitting discomfort and the long term potential effects of having the wrong task chair-leg pain, back pain, sciatica, shoulder discomfort and more.